In the final part of our three-part series on embryo adoption, we spoke with Misti Sanders, the second woman to adopt the Henderson’s embryos. 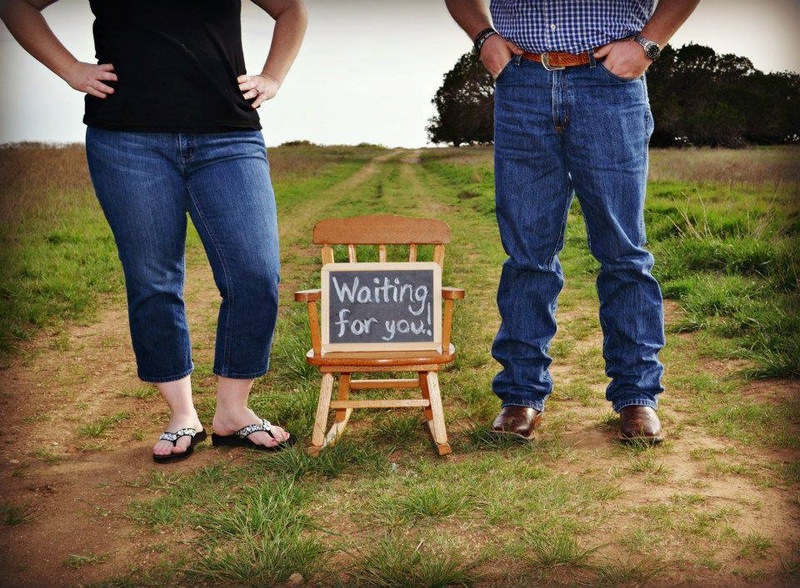 She talks with us about her and her husband Jeremy’s walk in faith through infertility treatments, news that IVF would likely not be successful, and finally giving everything over to God and His perfect timing. 4word: After you and your husband married, you both had a plan for when you’d start your family. What happened to that plan? Misti: Well, I think the key word in this statement is that “we” had a plan. We quickly realized that God had a different one! We had it all planned out just like “we” thought it would work out best. We were planning on being pregnant while I finished my Master’s degree in 2010, so we could start our family right after I graduated. After this time came and passed, I began visiting with my OB/GYN and then a fertility specialist to start looking for answers. We went through many different tests, medicines, and surgeries, and found out that there were many factors playing a part in our infertility, but endometriosis was the main problem. 4word: When doctors told you the chances of IVF working were less than 5%, what did you and your husband decide would be your next step? Misti: At this point we had gone through seven cycles of Intrauterine Insemination (IUI). Two of these had led to pregnancies but both had ended in miscarriages. I had recently had a laparoscopy to clean up my endometriosis, gone through Lupron Depot injections for six months, and was told that my body should be at the best place to have another IUI. When we went to the doctor for an ultrasound, it was very evident that my follicles were not maturing in order to release eggs. The doctor we were working with at the time let us know that we could not continue with the IUI cycle, and we needed to see a certain Reproductive Endocrinologist to discuss further fertility treatments. Although devastated at this news, we were still hopeful about the information this new doctor could give us. We met with the Reproductive Endocrinologist to discuss our options, and he explained that my only choice at this point would be to do IVF, and that our chances were less than 5% for success of my follicles maturing. At this point I was crushed. 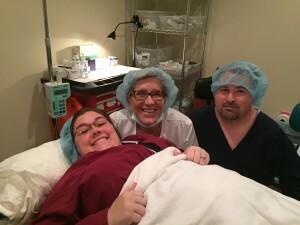 I just couldn’t make myself go through this process, knowing that my endometriosis and pain would worsen through the IVF process, with such a small chance of it actually succeeding. My husband Jeremy and I prayed and prayed about this option and knew that was not what we were supposed to do. Instead, we had an overwhelming peace about adoption. In fact, God had laid this on our hearts during the six months of injections, but we continued the process just to have a peace of mind about the decision we were making. So, when we got this news, we knew the reason God had been preparing us for the thought of adoption. During this time, God placed many people in my life who had the opportunity of adopting their children. 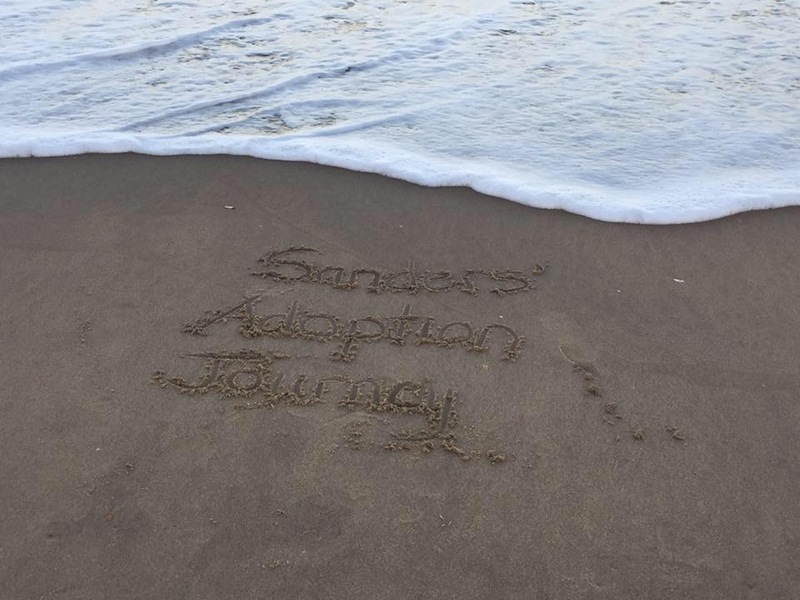 With the great information we received from them, we began moving forward with our adoption process seeking private adoption. 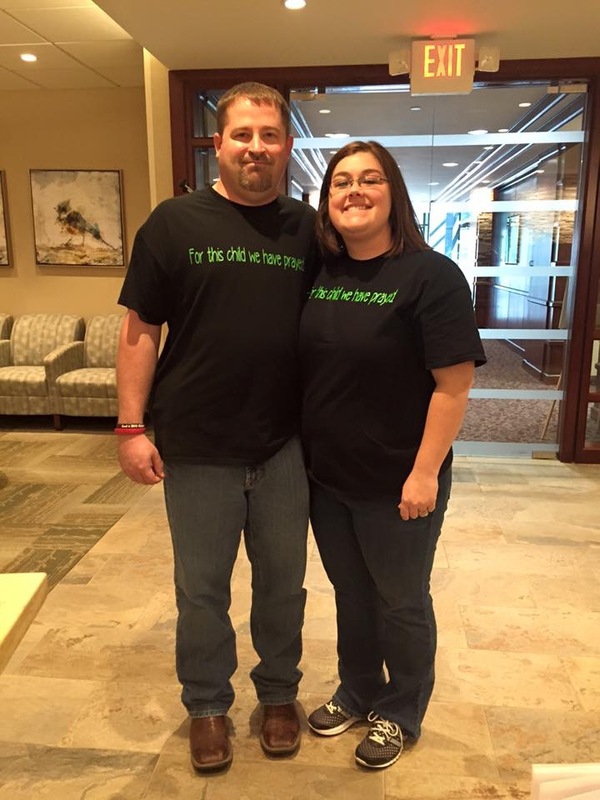 We began spreading the word through friends, a blog, and through a Facebook page. After several years and many failed attempts, we made a decision to work with an adoption agency. 4word: How did you learn about embryo adoption? What was your initial reaction to it? 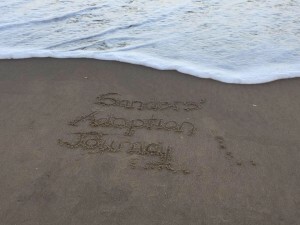 Misti: We made an appointment and met with a local Christian adoption agency to get information and hopefully move forward in our adoption journey. At this meeting, we were presented with different options of adoption, one being embryo adoption. The man we were working with asked Jeremy and I if that was something we might consider. We both looked at each other and shook our heads no since we had never heard of it and had no idea what it was. We continued with the meeting and started the process of domestic adoption. After we got home that evening, Jeremy and I discussed the meeting we had just had. We both admitted that we were very confused by this “embryo adoption.” We both thought it almost sounded immoral or unethical, just by the name, but also knew that this agency was founded and operates on Christian values. I remembered him telling us there was more information on their website, so I began my research. I got SO excited when I began reading and understanding what embryo adoption really is. It was FAR from unethical or immoral; it’s actually quite the opposite! I spent my entire Spring Break and many late nights finding more and more information though websites and webinars. Jeremy and I began getting excited, but wanted to make sure this was really God’s plan for us and not just something we wanted. We began praying that God would just reveal His plan to us about which direction He was leading us. Throughout this time, it seemed as if doors just continue to close for domestic adoption, and the doors just continued to open for embryo adoption. We took a leap of faith and trusted God and moved forward with embryo adoption. 4word: After deciding to pursue embryo adoption, what was the process for moving forward? Misti: There is quite a bit of paperwork with any adoption process. One of the things you must complete for embryo adoption is to get your doctor to sign consent that you are physically/mentally able to carry a baby. I made an appointment with my OB/GYN to get one of the forms signed so we could move forward. I actually left that appointment with surgery scheduled to have my ovaries removed due to their size and the endometreomas on them. My doctor reassured me that this was not a road block, but just a hurdle we had to jump over. After recovering from my surgery, we were able to move forward with the rest of the paperwork and get our homestudy and inspections finished. Once all of this was finished, all of our information was sent to Nightlight Christian Agency’s Snowflake Embryo Adoption Program to find a match. 4word: What was it like to be matched with the Hendersons? 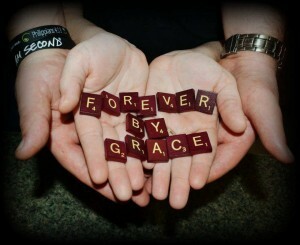 Misti: Throughout the entire matching phase, we continued to pray that God would hand pick who we would be matched with. We were able to give the agency a few things we wanted in a potential match. One of the things we requested was that the genetic parents be Christians. Since our faith in God is definitely the most important part of our lives, and we completely plan to raise our children the same way, we wanted to make sure the genetic parents had the same beliefs. One afternoon I checked my email and found the email that said we had a match! We were so excited and nervous at the same time! After reading the Hendersons’ profile, we could tell that Christ was also the foundation of their family. We felt very confident that this was the family God had hand-picked for us! Since that time, we have gotten to know the Hendersons a little more and continue to get more and more confirmation that God had His hand in this match. We are beyond thankful to them for the incredible gift they have given to us! 4word: Through the highs and lows of this entire journey, how has God made Himself known? Misti: I can say without a shadow of a doubt that God has showed up in every single detail of this journey. It has definitely been a roller coaster ride, but Jeremy and I have learned how to truly have faith and trust in God fully. Not only have each of our individual relationships with Christ increased throughout this journey, but our relationship with Christ in our marriage has grown immensely as well. One time in particular really comes to mind when I think of God making Himself known. When we first began the embryo adoption process, we had to make some decisions about how open we would be with the genetic parents we would be matched with. I had a really hard time with this at first. I remember just melting down thinking of how unfair it was that I would have to “share” my children with another family when other people don’t have to do that. Through the tears, God showed up SO CLEARLY and told me that I had prayed for years for Him to give us a child. We had prayed so many times that this child would be His and that we would raise him or her to follow Him. God reminded me that this was not my child to share. Instead, it would be His child that He would share with me, so I could also share. I can honestly say that since the moment I have had contact with the Hendersons, I couldn’t imagine not “sharing” my child with them! God definitely orchestrated the match! 4word: What advice would you give to anyone dealing with infertility? Misti: The first thing that I would say is you are not alone! Although it seems there are pregnant women are all around you, or conversations are always about pregnancies or children, there are so many others struggling just like you. The first few years of our infertility journey, we didn’t tell anyone what we were going through. After a few years, I felt convicted to share my story with others. Since that time, I have been very open about my journey because I know there are others going through the same thing who need to hear my story. Please find someone you can talk to – reach out to someone! Get a group of prayer warriors to intercede on your behalf. Some of the best supporters have been the ones who have asked the hard question of what exactly can I pray for today. This makes me be honest and share what I’m struggling with at the moment, whether physical, emotional, or spiritual. The second thing I would say is that although as humans it is not always easy, you have to fully hand it over to God. One of the verses I have and continue to cling to throughout this process is Jeremiah 29:11, “For I know the plans I have for you,” declares the Lord, “plans to prosper you and not to harm you, plans to give you hope and a future.” God has an incredible plan for our lives that is far greater than we can imagine! Dig into God’s word and find something that speaks to you and gives you that hope that only comes from Him! The last piece of advice I would give is to be sure you are informed of the options you have. Be sure you have a doctor who knows you and wants the very best for you, one who will go that extra mile just for you. Or find an adoption agency you fully trust. One of the best feelings was getting a card from our local adoption agency with signatures of all the staff members who had prayed for us that day. What a beautiful end to this series! It has been truly amazing to share this perfectly orchestrated story of these three women. Whether you’re in the middle of an infertility battle yourself, or dealing with another low in life, be encouraged by the strength and resilience of Rebecca, Kelli, and Misti. Look to God and trust that His plan is perfect and will be revealed to you in His time. You need only to trust in Him! Misti Sanders has always had a love for children. She couldn’t wait to have her own, but what she didn’t know is that it would not be through the “normal” process, but something much greater! 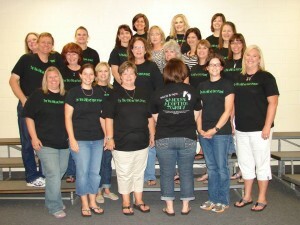 She has been in education for twelve years and is currently an Assistant Principal at Lorena Elementary School. Throughout these years, she has had the opportunity to love on many students as her own. Misti is a Christian first and foremost, an Assistant Principal by trade, and a full time pastor’s wife. Due to the amazing journey that God has brought her and her husband, Jeremy, through with infertility and adoption, she has a true passion to share her story with others.